Whole day tour escorted by guide and by de-luxe motorcoach. Pick up from the hotels. 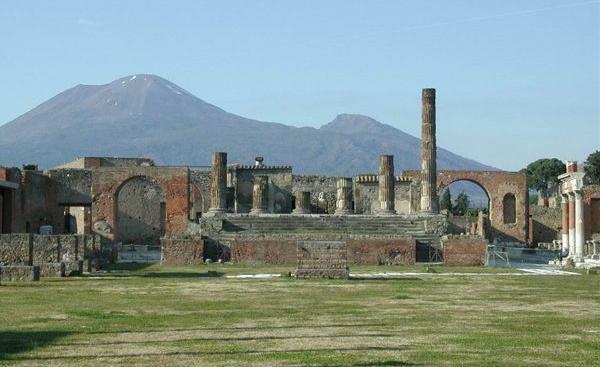 Pompei was destroyed by the eruption of Mount Vesuvius in 79 A.D. and buried by a seven meters thick lay of lapilli and ash. The visit to the ruins will give you the opportunity to see many artifacts well preserved which still now prove the prosperity of this town in the past. After the visit, optional lunch and then excursion to the Vesuvius by bus up to 3.000 feet and on foot to the crater for the visit with local authorized guide. A visit to a cameos and corals factory will take place before the return journey. Departures: Tuesday and Saturday 8.00 a.m.